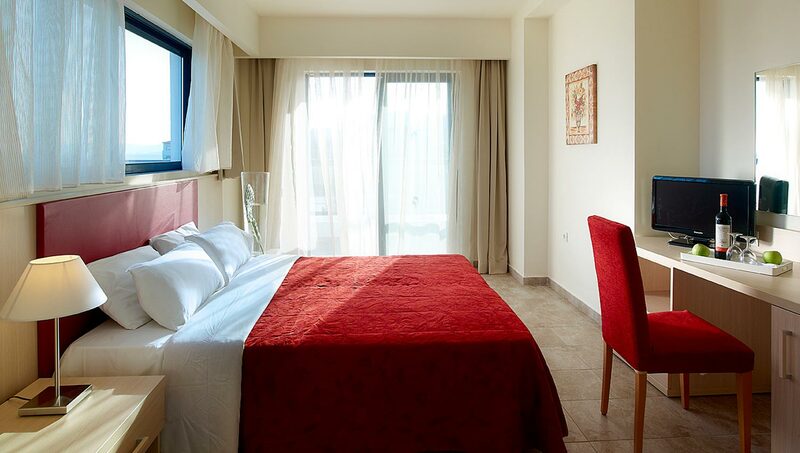 Elegant and spacious rooms that can accommodate up to five people. They offer two separate spaces and are ideal also for a group of friends. The one room has a double bed or two single beds and the second has one to three sofa beds. The size of the rooms vary depending on the capacity. They feature bathroom, air-condition, music, telephone, TV, fridge, hairdryer and private balcony.